What happens when elevators stop running at one of Toronto's tallest condos? More than a week ago, elevators at the Aura condominium on Yonge Street went down following heavy rain. Now, only half are up and running and one resident is concerned about what will happen if there's an emergency in the building. 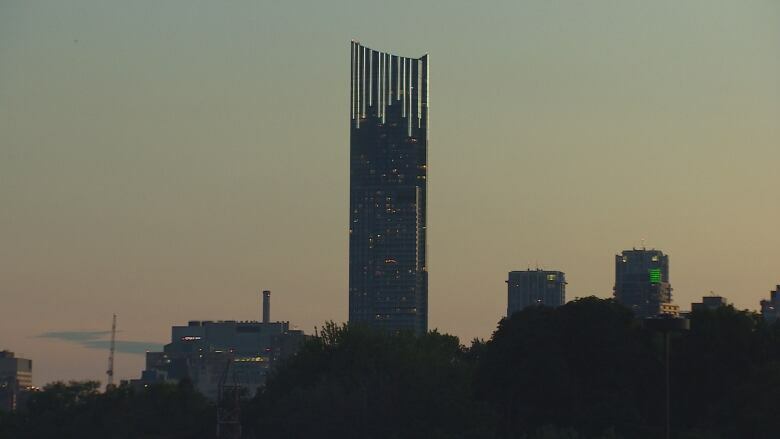 Stunning city views can be a perk of living on a very high floor of a downtown highrise. But when the elevators break down, what are residents to do? More than a week ago, according to one resident at the Aura condominiums on Yonge Street just south of College Street, building management announced that all elevators were down. The announcement came early on the morning of July 25, not long after heavy rains pelted the city. 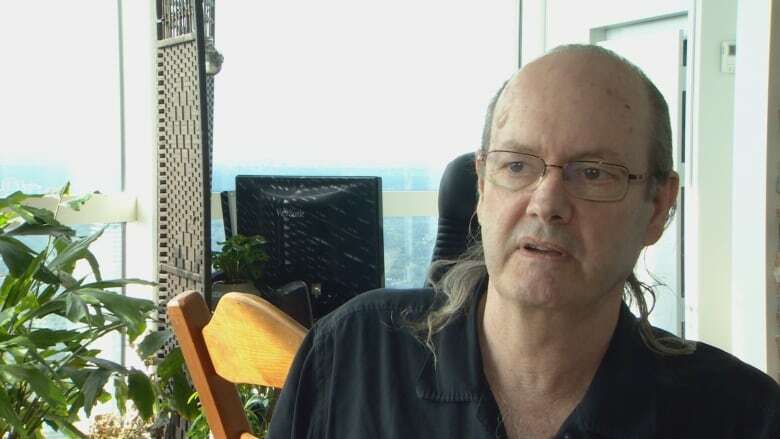 Management got one elevator working up to the 55th floor, and residents on higher floors had to walk down, Jim McNally told CBC News. He's lived on the 77th floor since 2015. "So everyone going to work that morning was pretty much walking and catching a crowded elevator," McNally said. Now, half of the elevators remain out of service and the one that services the highest floors — from 50 to 78 — has to be operated manually on service mode. McNally commended building management for getting some of the elevators back into service. A site administrator for the condo told CBC News that management is waiting to hear from the elevator service company, Otis. A spokesperson for Otis would not say what has caused the elevators to go down or why it's taking so long to make repairs. 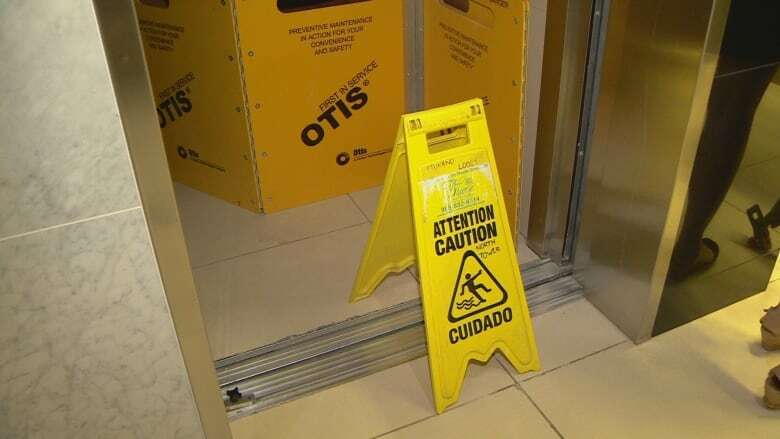 "Otis is aware of the issue and is working closely with the building owner to return the elevators to service as soon as possible," read the company's statement to CBC. McNally said he can deal with taking extra time to get into and out of his home. However, he's concerned about potential repeat problems: an elevator went out a year ago and it was a month before a new circuit board could be brought in from overseas, he said. And he's concerned about what might happen if a resident had to call 911 and elevator access to their floor was compromised. "What if what's left of the electronics went out and then we're really down to zero elevators and what happens then if someone has a 911 call 20 floors above?" McNally wondered. "I'm sure the 911 services would sprint up the stairs and probably do a commendable job of doing their job, but it would be a little irksome considering we're supposed to be in one of the flagship buildings certainly in the city."